All your Party Gift Packaging Made Easy. The end of the year is fast approaching and the smell of the Christmas spirit is getting everyone excited for the festive season. Christmas time is a huge thing in our household, mostly because we love how everyone comes together to enjoy a few days of laughs and celebrations. For me, it’s not only about the actual day, but all the exciting events leading up to it. Every year, I try to get innovative with my gift wrapping and also do as much of the décor and Christmas decorations myself using what’s left over from wrapping gifts. I grab the materials from the Wrap it showroom and combine them to make crafty little decorations, great for the Christmas tree, table decorations and other décor around the house – this is of course apart from getting creative on the actual gift wrapping. I’ve found some awesome Christmas gift ideas which I can’t wait to try out – I hope they get you inspired too. Pre-designed gift wrap is always an easy and gorgeous choice, but this Christmas I’m going to try a bit of a rustic idea with some gifts by using plain brown wrapping paper, and a pretty stamp, which I’ll roll across the paper. To top it off, perhaps a glitzy ribbon with a sprig of something green from the garden – what a statement! These brown paper gift wrapping ideas really inspired me. It goes without saying that the cherry on top of a good Christmas present is the ribbon. This year I’m going all out on the ribbons by mixing and matching various colours and styles of ribbon. What works really nicely is organza ribbon, combined with decorative string or raffia to add texture to your Christmas gift ideas. Here are some ideas on using multiple ribbons for your gift wrapping. Gone are the days when Christmas wrapping paper has to be red, green, gold and silver to symbolise the special event. These days, people are incorporating so many other interesting colours into their décor and gift wrapping, and it’s so refreshing! Breathe some fresh air into your Christmas gift ideas this year with these modern gift wrapping concepts. 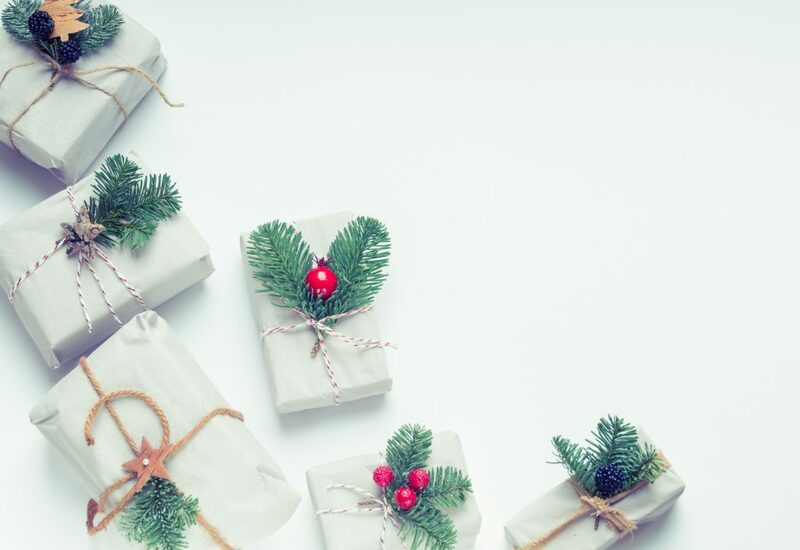 What seems to be on the rise in terms of popularity is wrapping gifts in plain white paper and using ribbon or other ornaments to compliment the gift. 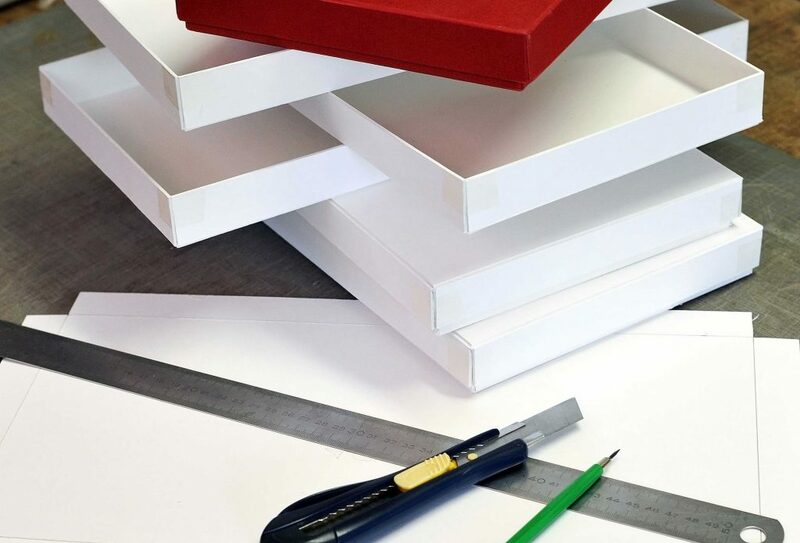 Whether it be a Christmas candy cane, an elaborate ribbon or a DIY decoration, the white canvas allows you to dress your present in whichever way you like. 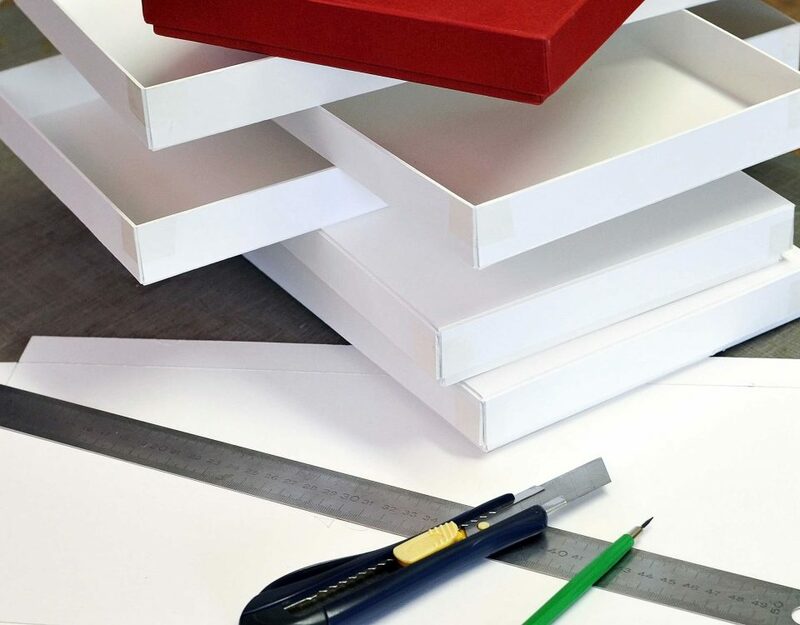 Have a look at how simplistic, yet striking this white paper gift wrap turned out. Gift tags and cards are always so fun to make over the festive season, if you have a bit of extra time. Sometimes I start from scratch, or else I buy gift tags and zhoosh them up with my own personal touch. The beauty of making your own cards is that you can use absolutely anything and everything in your gift wrapping collection to craft these gift toppers. I found these card making ideas which seem to cover all bases and look super easy to make – the Button Snowman card is so clever! As I mentioned above, I love making my own Christmas decorations for the tree, and it’s a fun activity that the whole family can get involved in. Who would have thought a little gift wrap, some ribbon, and perhaps a few other embellishments could be elevated into these awesome Christmas tree ornaments – give them a go! I always like to splash out on the table décor for Christmas. After all, that’s where all the magic happens – good food, great conversation and rolling laughter is synonymous with our Christmas gatherings, so it’s only fair that the table looks the part. My gift wrapping collection and ribbons always come in handy when I’m crafting my centrepieces, whether I’m going elegant or funky, I choose a gift wrap to match and get my creative juices flowing. I’m definitely going to be trying out a few of these table décor ideas this year! Give this festive season an extra personal touch and get creative with your gift wrapping, Christmas decorations and table décor. Our Wrap it showroom stocks everything you need to make your gift wrapping stand out – gift wrap, ribbons, gift boxes, cards, embellishments and more, we’re your one stop shop for all things packaging. Give us a visit and get lost in our world of gift wrapping.